Our motto this week is inspired from our last post: Whatever you are be a good one! Picture from Whatever you are, be a Good One by Lisa Congdon. Published by Chronicle Books and distributed in Canada by Raincoast Books. Listening is something we take for granted. Most people think they are good listeners. In fact, you would be hard pressed to find someone who will admit to not being a good listener. But in reality, a lot of people listen to only what they want to listen to. Imagine yourself in a meeting. Even better, let’s say it’s a brainstorming meeting. You have something to contribute. So does everyone else. Your mind is churning through a million ideas. At the same time, someone else is speaking. As you formulate the big idea in your head, can you honestly say you are listening attentively to every single thing your colleague is articulating? It’s impossible. What you may pick on are bits and pieces of the conversation that you may use to build your own idea. So, when you are aware of this, you are able to tweak your behaviour. 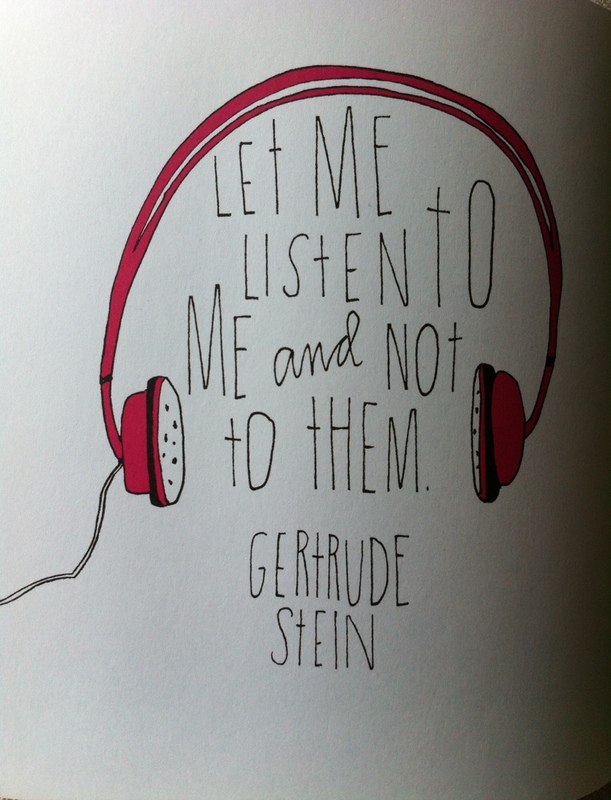 Listening is a two-way street. But along with verbal cues, there are also non-verbal ones. When in client meetings or pitches, listen. Really listen. Is the client liking your work and not saying anything? Is there one piece of creative they’re paying more attention to? Is there a reason? When you listen (both to verbal and non-verbal conversations) you become better at what you do. And, clients appreciate that. Just like Blink, we know that if you were a book, you’d like to be picked up again and again!